The Gare de Lyon, one of the six main railway stations in Paris, handles about 90 million passengers a year, making it one of the busiest stations in Europe. A great majority of the human wave that rushes through its great hall every day never pauses to contemplate its grand Art Nouveau architecture with its ornate palatial stone façade and 64 meter (200 foot) tall clock tower. Nor do they notice the airy interior iron and glass structure of the great hall or the gracious curve of the double staircase leading up to Le Train Bleu. And they miss an outstanding dining experience in an eye-popping authentic Belle Epoque décor. Who can blame them? In the contemporary psyche, fine dining is the last thing associated with train stations. Yet that is exactly what the owners of PLM Company (Paris Lyon Marseille) that operated the southeast rail network at the end of the nineteenth century had in mind when they commissioned the prestigious building to mark the 1900 Paris World Fair. 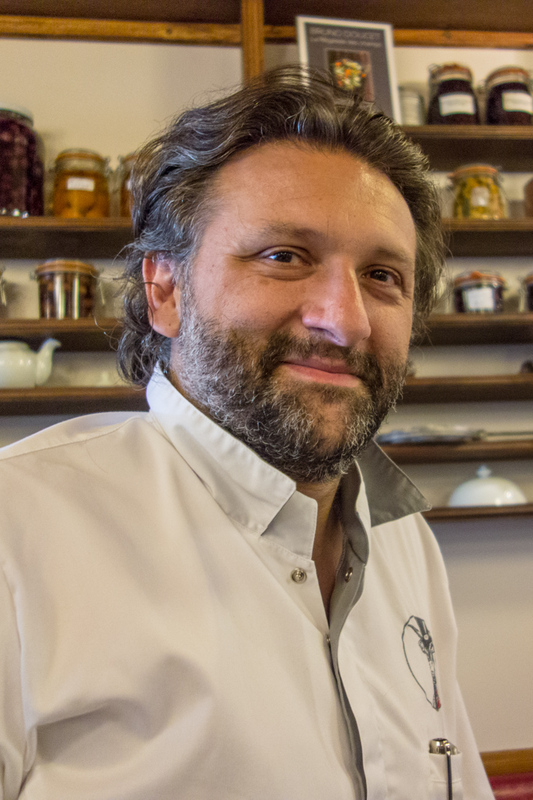 At the center of their station, they created an elegant bastion of French gastronomy intended to symbolize the comfort and luxury of train travel. The dining room is an authentic Belle Epoque extravaganza. 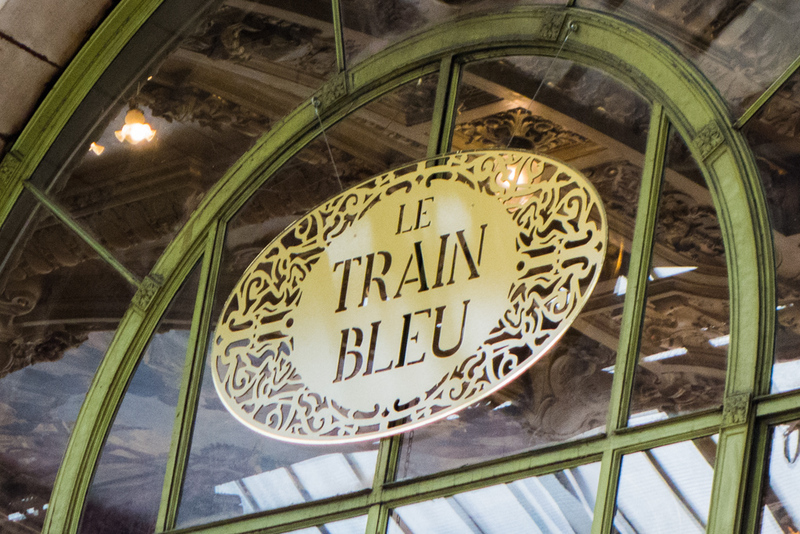 The Train Bleu has been holding its end of the bargain ever since, serving patrons in extravagant Art Nouveau splendor continuously since 1901. The walls and ceiling are covered with frescoes representing cities and landscapes as they were viewed from the PLM trains at the time, painted by noted artists of the period and enhanced by gilded molding and carving. Crystal chandeliers and sconces cast their shimmering lights on spacious tables clad in starched white linen and lined along plump blue leather banquettes. Ceviche of bream with capers: a summer favorite. 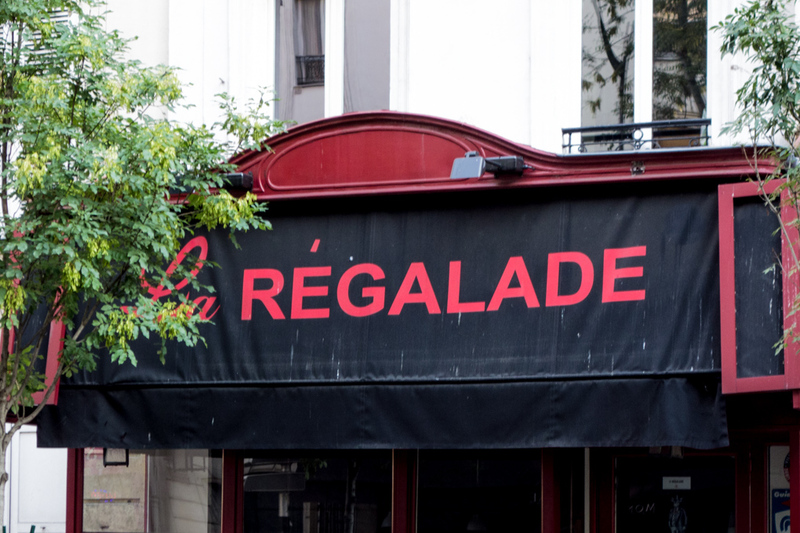 It too remains in the classic culinary tradition of the great Parisian brasseries of the gilded age. 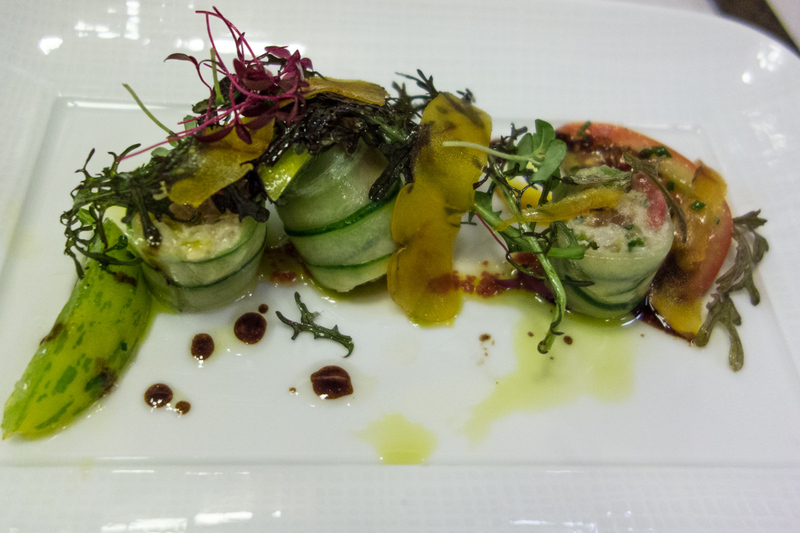 Under the masterful direction of Chef Jean-Pierre Hocquet, Le Train Bleu woos diners with a lavish menu adjusted periodically to take advantage of the fresh seasonal products that are delivered daily. Thankfully, some signature dishes remain constant, such as my all time favorite steak tartar (finely chopped raw been tenderloin) mixed at my table precisely to my taste (spicy please) and served with perfectly crispy French fries. 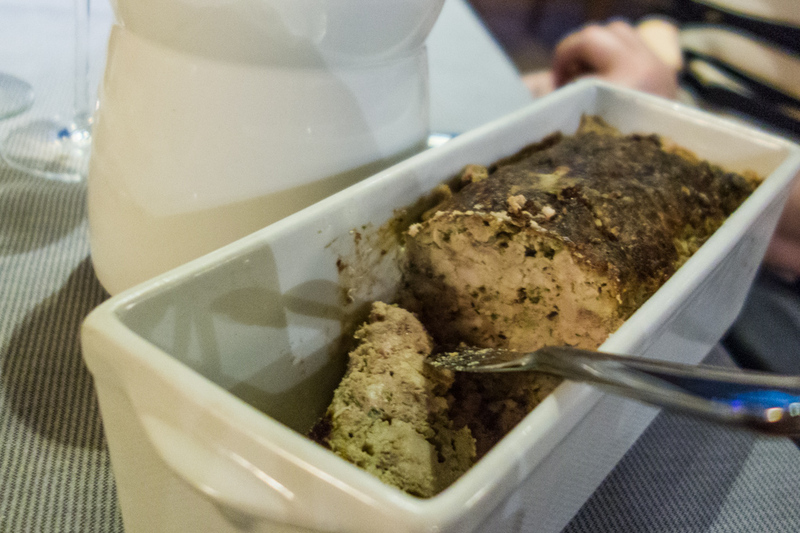 Also high on my list is the gigot d’agneau (roasted leg of lamb) carved on the trolley in front of me with its rich gratin Dauphinois sidekick. 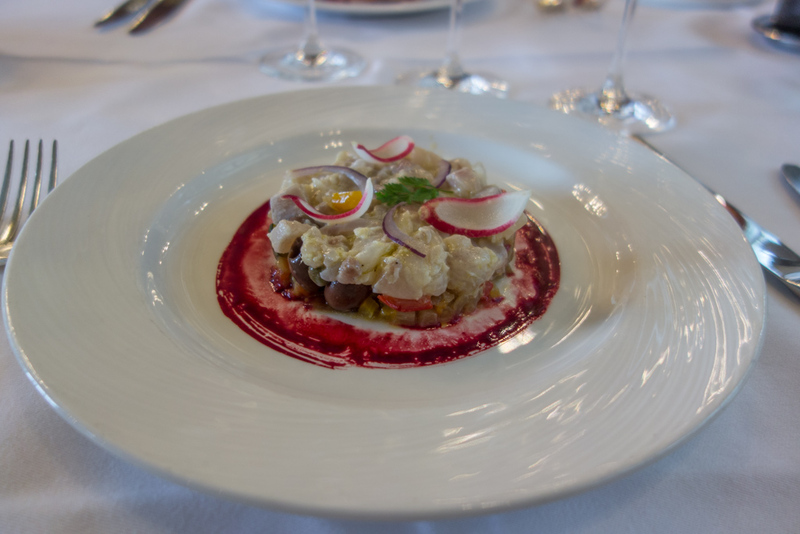 Occasionally, I forego these great classics for seasonal cuisine, such as the ceviche of bream with capers and fennel followed by a supreme of roast chicken with lemon and coriander glaze and baby summer vegetables of my latest visit. The Baba au Rum is an irresistible signature dessert. 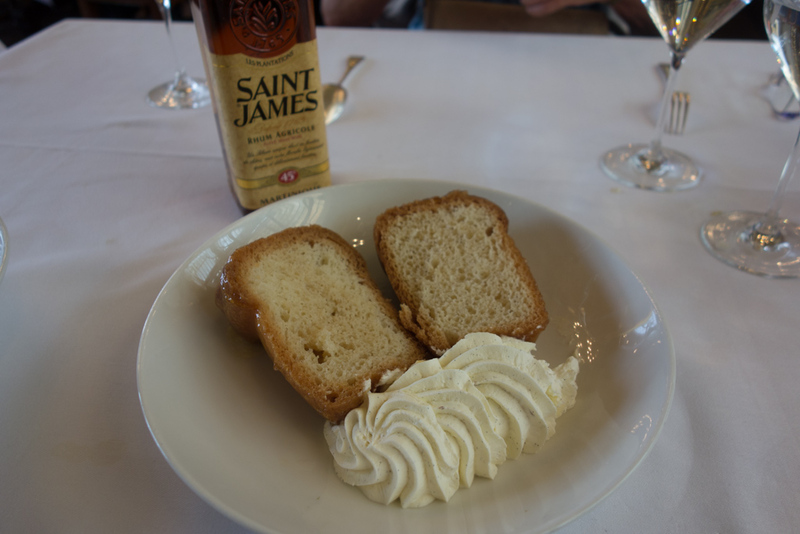 One thing that never varies for me is dessert, it has to the peerless baba au rhum with crème Chantilly, served with a full-bodied Martinique vintage rum. My server slashes the sponge cake in half with a decisive stroke and proceeds to douse it with the contents of the bottle. 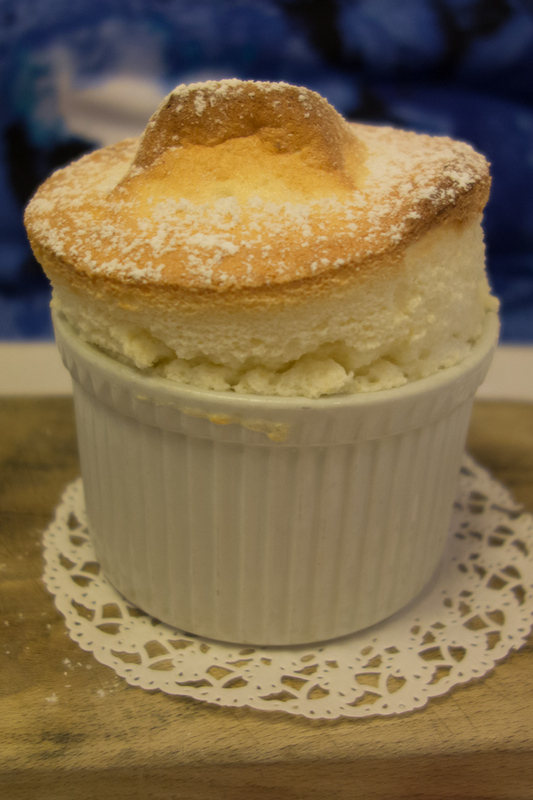 At that point I am always glad smoking was banned from restaurants long ago, lest my dessert might self-ignite. The service at is unfailingly attentive, courteous and prompt. The staff understand that here most guests do have a train to catch. 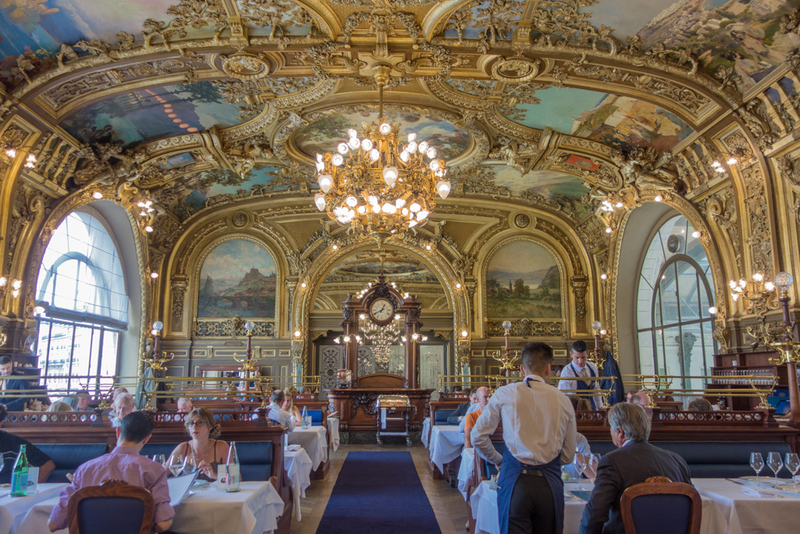 Le Train Bleu is located on the second floor in the center of the main building of the Gare de Lyon. Access is by the ornate staircase located inside the main hall. Lunch is from 11:30 A.M. to 2:45 P.M.
Dinner is from 7:00 P.M. to 10:45 P.M. 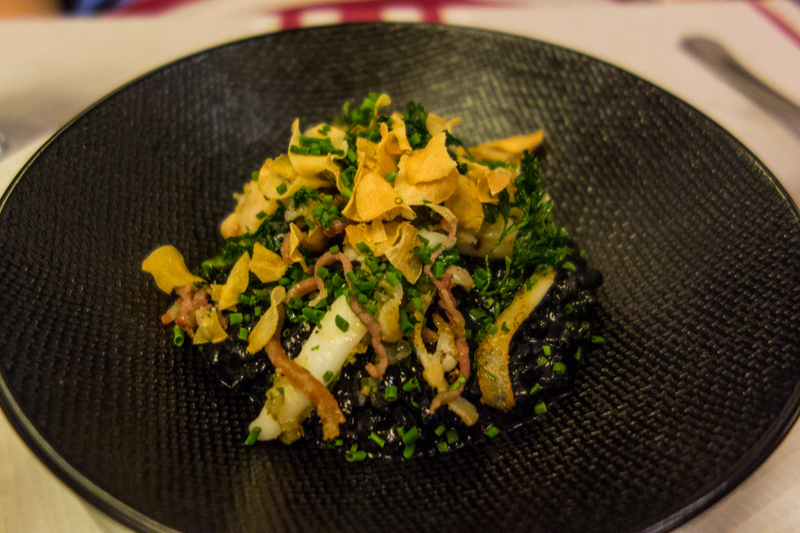 The restaurant is popular, and while I have never been turned away whenever I showed up without a reservation, I believe it is prudent to make one whenever it is possible to anticipate.